Age: He is immortal to an extent. He can die in battle, but not of old age or sickness. Now, he is approximately, like, as old as eternity. But I dunno. Clan: He lives in the Shivering Isles and is their King, but while in the Beyond he has no Clan. He doesn't go to the Isles much anyway. Eyes: His eye color varies. It is often pupiless white, but when he grows more angry the eyes turn black with yellow cat-like pupils. 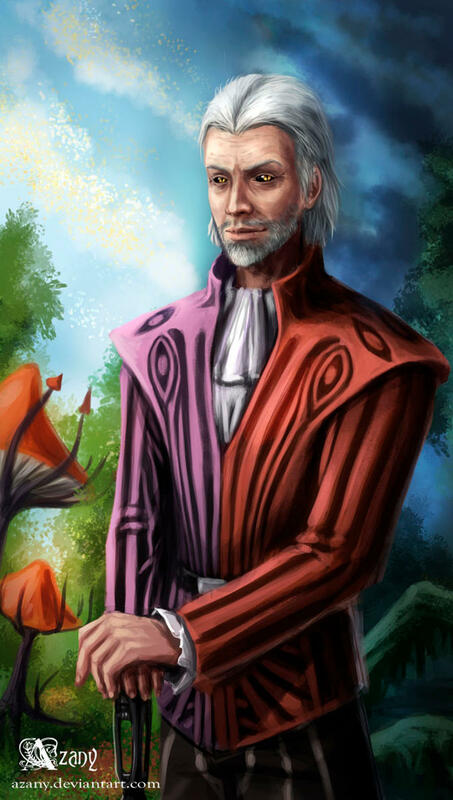 Looks: Sheogorath appears as an elderly man dressed in a red and purple suit. His hair is shoulder-length and silvery white. He has a light grey beard on his chin. He's very thin. Extra: He carries around a cane, with the occasional Wabbajack. Hobbies/skills: Partying. Coming up with crazy things. Doing the fishstick(?). Strengths: Manipulating others. He is sly and intelligent, despite his insanity. He has a way of staying calm and fearless in the heart, though he may not show it. Weaknesses: He has a soft spot for children. He will also go more crazy if his cheese is taken or threatened, or if the player goes on and on about logic. This will also make him angry. He also has a terrible weakness to ebony. If he comes in contact with it, the skin where it touched will begin to wither off. His magic skills also go away temporarily in the middle of storms. Accessories: The Wabbajack and a cane. Wabbajack Description: The staff has the power to transform its target into a completely random creature. This can be helpful to the wielder, turning a fearsome opponent into a docile animal; similarly, it can be detrimental, transforming a relatively weak enemy into a powerful monster. The staff can produce other effects, such as damaging, healing, turning to stone, or un-stoning the person he turned to stone. Sheogorath almost never uses it though, since he doesn't sport fighting. Special abilities: He has simple magic like teleporting, telekinesis, and becoming invisible. He can use these at anytime, except in the middle of a severe thunderstorm, hurricane, tornado, etc.. Attacks: If he is desperate to prove a point or to win a fight, he will use the Wabbajack. Combat style: Just magic, but he always tries to stay out of fights. Personality: Sheogorath savors the act of driving mortals insane or making them perform actions which can be seen as trivial or silly. He is completely unpredictable and often comments in nonsensical or otherwise socially unacceptable statements. He often refers to the removal of entrails and has a curious obsession with cheese, which is taken to near hysterical levels in Oblivion. Despite being completely mad Sheogorath displays incredible intelingence and insight. He is invested in the affairs of Oblivion as seen in being part of the compact of Sotha Sil in 2920 and his mention of attending the "parties" of the other Princes . 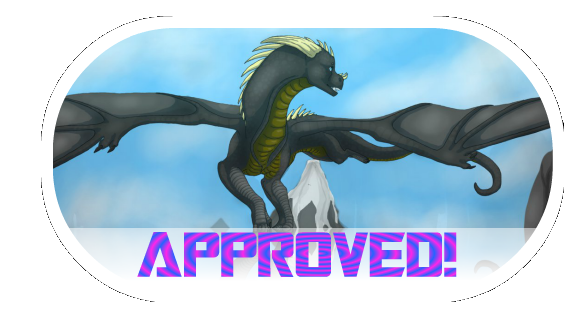 He has also shown to be capable of not only manipulating mortals, but other Daedra Lords as well. In some famous cases he manipulated Malacath into killing his own son, defeated Hircine in a battle of beasts, and beat Vaermina at her own game. Likes: Parties. Cheese. Tea. Vacations. The 'Mania' side of the Shivering Isles. Insanity. Manipulating mortals and fellow Daedric Princes. Clouds. Clowns. Getting drunk. The color purple. Dancing. Teasing Haskill. Children. Dislikes: Malacath. Jyggalag. Pesty mortals. People interrupting him. Logic and order. Fears: Jyggalag. The Greymarch. A shortage of cheese. Sheogorath has no family history or connections. History: Legends of Sheogorath abound. New Sheoth, the divided capital of the Shivering Isles, is said to have been founded at his whim. Myths of Sheogorath is an anthology of tales: "Sheogorath Invents Music", "Sheogorath and King Lyandir" (who was killed by his deranged son after his entire kingdom fell to madness), and "The Contest of Wills" (which Sheogorath wins without even trying). Fall of Vitharn tells the tale of a Count in the Shivering Isles who disrespected Sheogorath, and who Sheogorath rewarded with an overabundance of madness in his family, leading to their demise. 16 Accords of Madness are stories of Sheogorath's encounters and inevitable triumphs over other Daedric Princes, such as besting Hircine in a duel of champion beasts (by letting Hircine's beast run itself to death), winning a wager with Vaermina (by doing nothing), and claiming the soul of an Orc who had murdered one of his followers (by letting Malacath do the work and kill the Orc, who turned out to be Malacath's own son). The general theme is that he lets his opponents defeat themselves, remaining impervious and yet doing relatively little unless he's in a bout of (often violent) creativity.